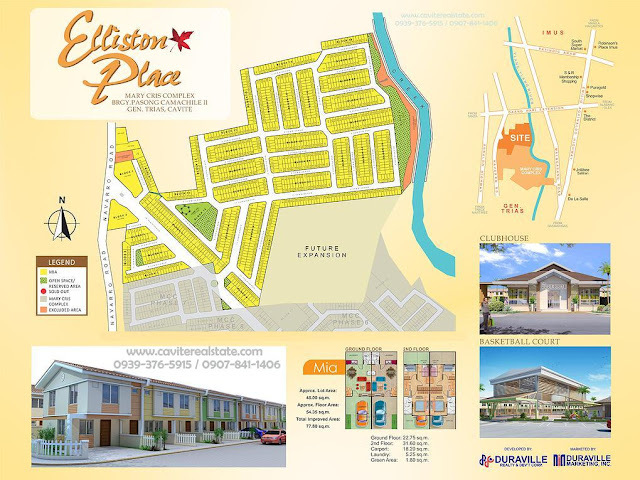 Duraville Realty and Development Corporation newest residential housing project in Cavite. Brgy. Pasong Camachile Gen. Trias Cavite, via Daang Hari Extension. With backdoor access at Marycris Complex Malagasang Imus. Very accessible via Daang Hari, Aguinaldo Highway and Cavitex. 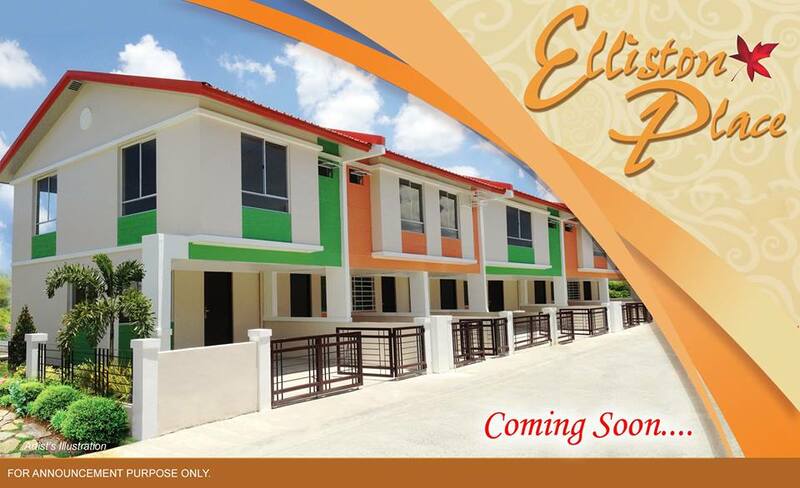 Elliston Place are developed by Duraville Realty and Development Corporation. 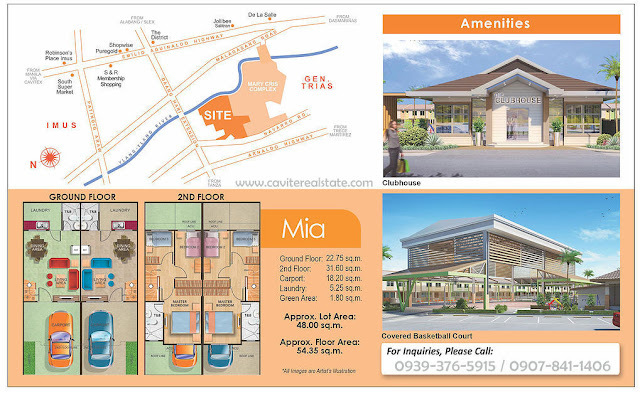 Land area of 9 hectares with a total of 988 units. 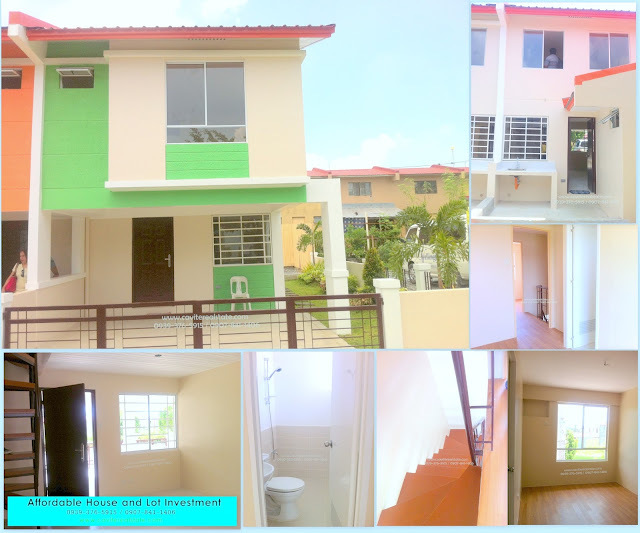 Only one (1) house model named MIA, a cluster Townhouse with 3 bedrooms and two (2) toilet and bath. 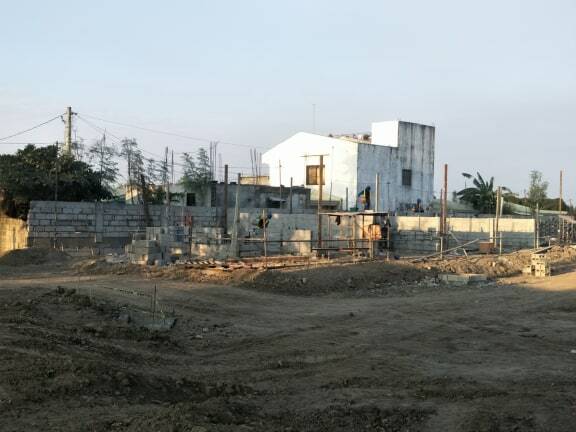 Complete finished turnover with tiled flooring on ground and second floor. 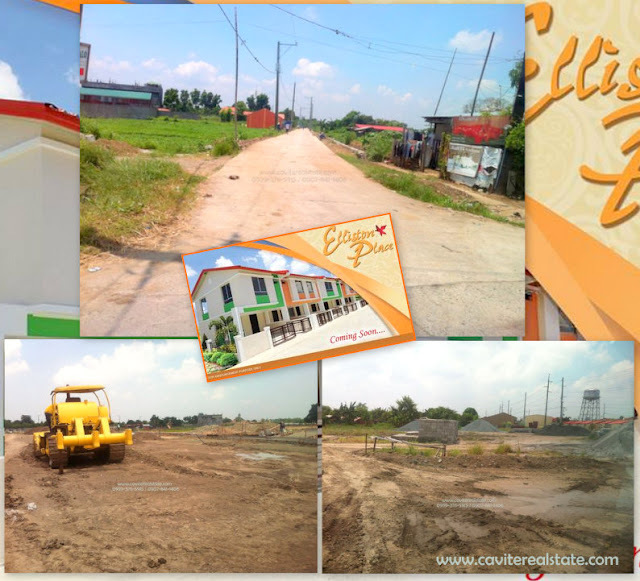 Nearest neighboor subdivision are Mary Cris Complex, a existing project of Duraville that they can cater the necessary needs of future homeowners of Elliston Place such as wet & dry market, schools, hardware, drugstore, med-clinic even the subdivision are on-going or not fully develop.